Keep your car, truck, or SUV on the road! Normal wear-and-tear from road travel will cause performance issues if you don’t give your vehicle enough attention. ShortVine Star Motors in Cincinnati, OH knows that an ounce of prevention is worth a pound of cure. Vehicle owners should know that expensive auto repair needs and breakdowns are absolutely avoidable. Let us show you how! With clean and consistent oil changes, timely tune-ups, lube service, brake repairs, diagnostic service, and tire maintenance, we’re able to avoid potential problems and correct any current ones. Preventive maintenance is the key to extending your vehicle’s road-life and preserving quality engine performance. When you come to ShortVine Star Motors, our goal is to avoid costly repairs with an excellent maintenance service plan. This is how we keep you two steps ahead of any repair problem. All of our quality repair services start with an accurate diagnosis. Not only are highly experienced and well-trained at analyzing vehicle systems, but we also use the latest technologies to pinpoint any problems. ShortVine Star Motors should always be your first stop for any questions, concerns, or performance issues. The sooner our experts can get a look under the hood, the sooner we can have you back to confident driving. Pay attention to all of your vehicle’s warning signs and be proactive. When owners respond quickly to strange sounds, smells, or smoke from the engine they give us every opportunity to get their vehicle in optimal condition. Your vehicle will thank you for bringing it to our facility. It’ll thank you with more efficient and enhanced overall performance. 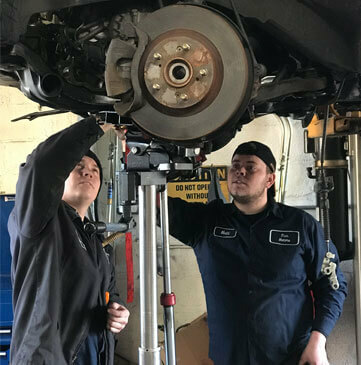 Our team is ready to snap into action to fix any engine, transmission, braking system, exhaust system, air conditioning, steering and suspension repairs, and much more. Do you have time to be stranded on the side of the road? Owners will usually respond with an “Absolutely not” to that question. Scheduling your vehicle’s auto service is all about timing. Do you have the time to stop by our facility today? Your daily schedule may be jam-packed with appointments, but nothing will make you more tardier than an unexpected repair need. If you can find a way to squeeze us into your busy schedule, you’ll enjoy much better driving experiences. Give us a call today at 513-961-2409 to schedule an auto service appointment. You’ll save time and money by reaching out to our shop for any repair or maintenance services. Next time you’re in this area, feel free to stop in to meet our experts. We gladly accept all of our walk-ins!